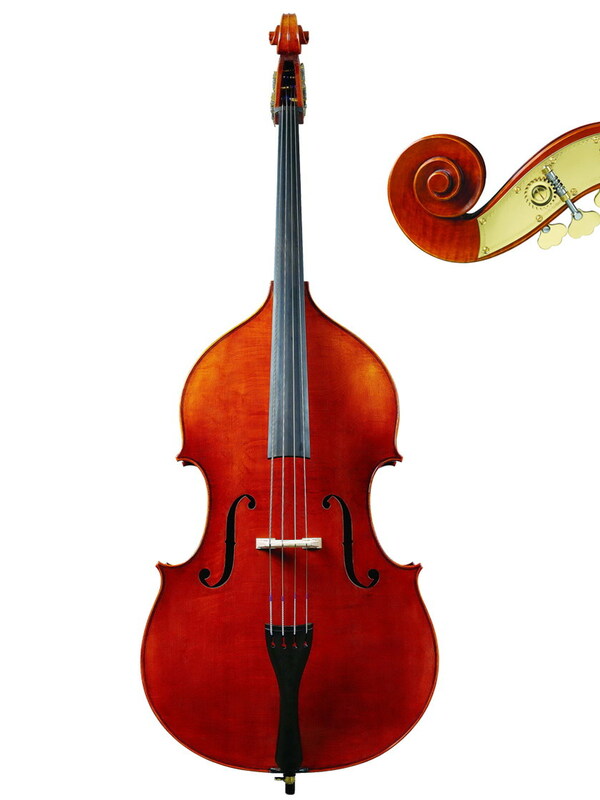 ●Well-seasoned European spruce top with in-laid purfling. ●Fully hand-carved flamed maple back. 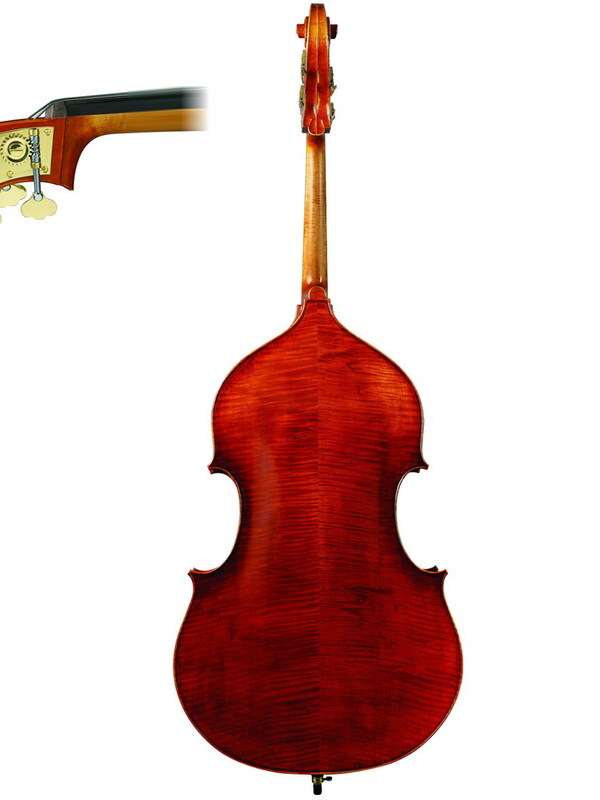 ●German Rubner double bass machine head. ●African ebony fingerboard and fitting.